Welcome to the October edition of Club Chat. As it comes to the end of the winter season we’re preparing for an awesome summer of athletics. The Athletics NZ Community Team has spent the last month out and about meeting clubs and regions and helping them prepare for the season ahead. We look forward to getting out there and meeting more of you in the next few months. In this issue of Club Chat we get a first look at the new Run Jump Throw programme, we talk Club Health and Safety and check out the new Athletics NZ Strategic Plan. For winter clubs we hope that you’ve had a fun and enjoyable season. If your club was at the Road Relay Champs in Rotorua over the weekend, we hope your teams went well and had fun!! For the summer clubs we hope the pre-season planning is going well and you are all ready for an awesome Summer of Athletics. 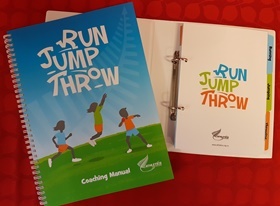 After 30 years, Athletics NZ is proud to announce the Run Jump Throw programme and resources have had an overhaul and are ready for the summer season. Run Jump Throw is Athletics NZ’s foundation programme for teaching athletics specific skills to kids 6-11. It’s based on the philosophy that the development of skills, in a fun participant–focused environment is the key to participation. The emphasis is on the development of fundamental movement patterns specific to athletics. We have two new resources. One is a coaching manual with all the information you need to know about the programme, the skills and some new and exciting competition models. The other is a folder of activity cards to help your club volunteers implement Run Jump Throw on club night. These resources are available on our website for purchase and we’ll be launching a new and exciting website by the end of the year. All affiliated clubs will shortly receive a discount code offering significant savings. Check out our Run Jump Throw video and feel free to share on your club facebook page. Over the months of September to November the Athletics NZ’s community team will be out and about in the community visiting clubs and regions across the country. Their aim is to help regions and clubs upskill coaches and volunteers in Get Set Go, Run Jump Throw, Club Coaching, ClubNet, Club Governance and Development. We look forward to seeing you all over the summer months. 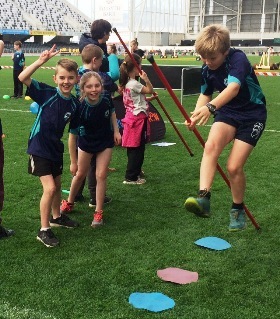 Congratulations to Athletics Otago for hosting an Awesome Run Jump Throw event in the Forsyth Barr Stadium a couple of weeks ago. Health and Safety is an important part of any Club to create a safe sport for all involved. It’s important to think about the process and make sure guidelines are communicated to all members and volunteers. 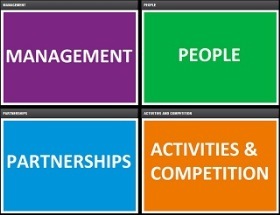 Athletics NZ has designed some templates and resources to help clubs understand their role in Health and Safety and how to create a safe environment for everyone involved at your club. Click here for more information. 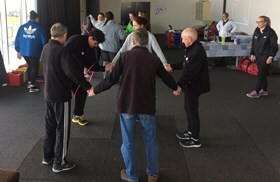 At the end of July Athletics NZ held its annual Club Connect Conference in Auckland. It was a good turnout from clubs with over 82 people attending from 35 clubs. There were some great workshops held throughout the day covering everything that is useful for clubs. For those of you that couldn’t make it along, check out the Workshop Presentations from Club Connect. Look out for the 2018 ClubNet workshops which will support your transition to Online Registrations next season. Register for Mandatory Online Registration Incentives. There is a series of Webinar sessions for your ClubNet administrators to access, this will provide them with further support and development on ClubNet to ensure you are prepared for the season ahead. For further help and support please contact your centre super user or our Membership and Club Coordinator on Kerrie Mott. As always the ClubNet page of our website has all the latest best practice guides and notices. The Athletics NZ Member Benefits Programme is a great way to incentivise people to join your club so please let all your members know via your websites, club newsletters and at club night or run. Clubs and Centres can use these discounts too! Check out all of the Member Benefit deals HERE or check out two featured offers below. Executive Travel offers a personalised service delivered 24/7 utilising state-of-art technology with traveller safety always top of mind. We employ the best in the business with the expertise and knowledge to cover all your travel needs from start to finish and back. 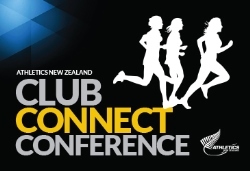 Athletics NZ members will receive contracted discounts on applicable published airfareson Air New Zealand when attending events or conferences endorsed by Athletics NZ. We were extremely proud to present the new Strategic Plan for Athletics New Zealand 2017-2022 at Club Connect 2017. The plan was developed over a twelve month period through a feedback and consultation process with the athletics community. The development of this strategic plan included engagement with our community including Members, Clubs, Centres, Associate Members, along with our staff, Sport NZ, and other partners. The new strategic plan’s key outcomes are “more members and participants”; along with “more athletes competing on the international stage”. Athletics NZ is a progressive organisation with a clear focus on what needs to happen to lead the whole sport forward, and we are delighted to present the Strategic Plan 2017-2022. A special thank you to all those who have contributed in developing our road map for success. 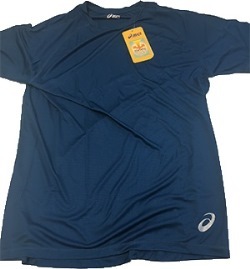 Athletics NZ has a selection of great ASICS and New Balance T-shirts we’d like to offer to clubs to purchase at a great price. The shirts are top quality ‘dry-fit’ style sports shirts that typically retail in excess of $40 each. Most stock is of smaller sizing, suitable for children’s clubs. These T-shirts are available for clubs for $14 each (inc. GST and postage) .Minimum order is 10 shirts. There is also special pricing to buy the entire lot. If you are interested, get in FAST.